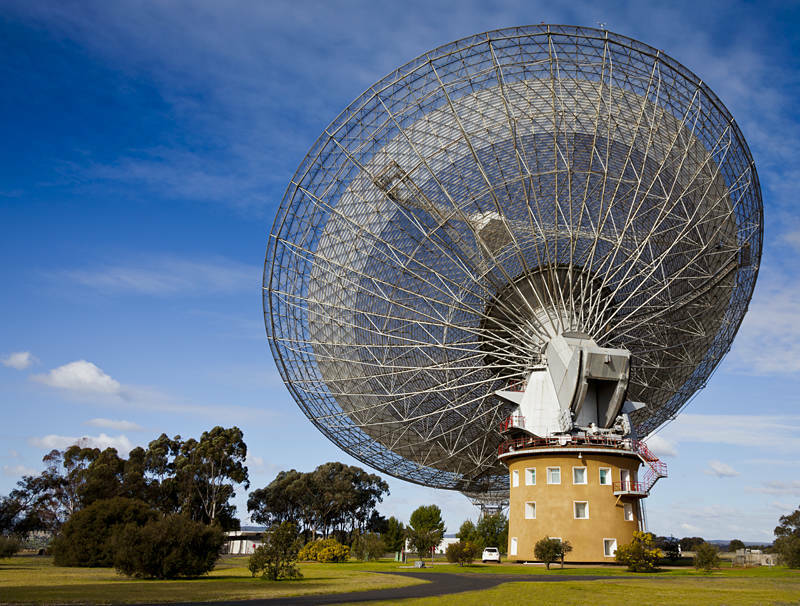 This is the CSIRO Radio Telescope in Parkes. It was used in 1969 to receive the pictures of the first Moon landing. Its story was further immortalised in 2000 when it played the starring role in the film “The Dish”. Today it is still a working Telescope and thanks to upgrades it is 10,000 times more sensitive than when it was built in 1961. Last night we camped outside Parkes and are now approaching the Blue Mountains from the west. I didn’t realise you had been heading over to Parks. We visited it last time we were out in Oz. It’s a great site and a very impressive dish. We returned to Sydney via Mudge (a wine growing region) which has a wicked amateur observatory you must visit if you go near it. It was a bit of a last minute decision to go to Parks as we still had two weeks before our flight. We are seeing Frank and Danielle tomorrow and Juan on Wednesday.